A much appreciated add-on is the aircraft model. There are huge numbers of different aircraft types in the world and there are an almost equal number of add-ons. So, you will probably be able to find your favourite helicopter model somewhere. Helicopter models are added by installing the associated files into the Aircraft/Rotorcraft directory (FSX) or Aircraft/Helicopters (X-Plane). Another good reason to get a model add-on is the flight dynamics. This is especially true for helicopters which, by their nature, need sophisticated flight models if you want to add maximum realism (that is, if you are looking for a realistic flight experience). 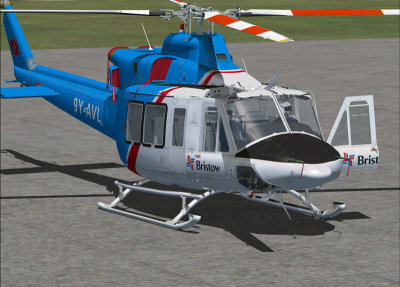 In this respect, the DodoSim's Bell 206 Jetranger add-on is a must have (FSX). 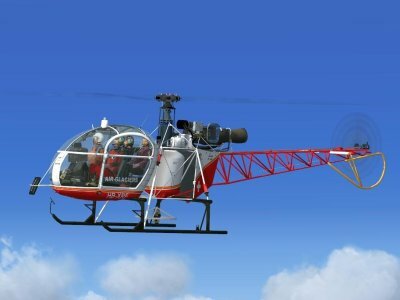 It stands out because of its very realistic flight dynamics (including torque yaw, rotor droop, inflow role, vertex ring state, LTE, and much more), making it very useful for those who want to experience what real helicopter flying is all about, or want to use the FSX as a training aid. The X-Plane uses a different approach to flight models and, as a consequence, all of the X-Plane helicopters (and planes) should have good real life flight dynamics. There are quite a few helicopter models out there. However, they differ a lot when it comes to flight quality. A good model pays a great deal of attention to flight characteristics, the instruments and, of course, the fuselage and its textures. The list below therefore starts with a selection of the best helicopter models around, and ends with three general categories of helicopters, because there are a lot of them! Of all of the models around, this one is, undoubtedly, the version that most accurately resembles real helicopter flight. A hover in the Dodosim 206 needs an experienced pilot. But relax, you can adjust the level of difficulty. The Dodosim 206 is also a good candidate for a helicopter procedure trainer, because not only is the flight model accurate, but so is the simulation of the hydraulic and electrical systems. Compatible with FSX. There also is a FS2004 version available (Advanced 206). Realistic simulation of engine, mechanical and electrical systems. Featuring wear and failures. High quality visuals and sound. Several models available, including floats, low and high skid, utility with a cargo hook and door-less versions. Nine liveries and a paint kit. Lots of animations, accessible through an animation panel. Both the military UH-1H (or German UH-1D) and the civilian Bell 205 A-1 models. Accurate flight model using a separate flight model engine including: torque induced yaw, stabilized rotor head simulation, control travels in hover and cruise flight, tail rotor effectiveness, retreating blade stall, and control effectiveness depending on hydraulic pressure. 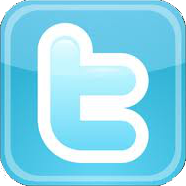 Detailed systems make use of all possible checklists. Detailed external models with lots of animations. No 2D cockpit; only the virtual cockpit is available. Sound not always 100% in sync during engine start-up and shutdown.